Clementine Celebration: Make a SPLASH!! 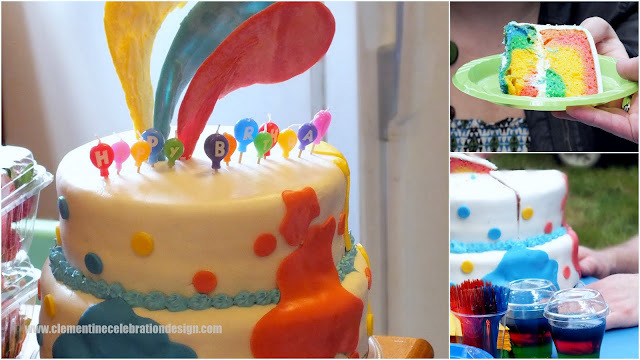 This spring my nephew "E" turned two, and to celebrate his mommy requested a special Colour SPLASH! themed event. We ran with a primary+green colour scheme, and made sure the little man had a custom rainbow cake and lots of colouful snacks. The party, though small, was a blast. E keeps asking for more parties! The party was pretty low key, so we set up a simple but cute snack table filled with rainbow snacks. Colourful kettle corn, fresh from the farmer's market on Saturday morning. Flavoured kettle corn, like most things I've never tried to make myself, blows my mind. Delicious! 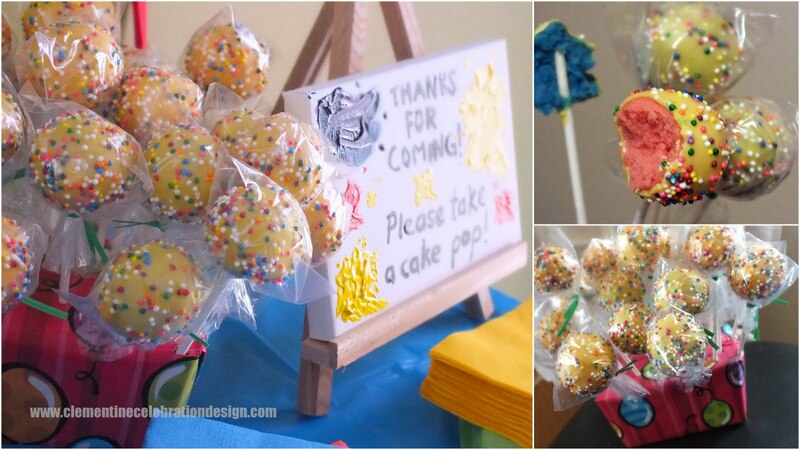 A decorate-it-yourself umbrella kit made for a super cute keepsake for Ethan and his mom. In the yard, the kids played with finger-paints and had their faces painted (when they weren't playing in the sandbox or splashing around in the water table). The easy secret to parties for toddlers is that there's no guarantee that the kids will want to do anything that suits the theme... so keeping it basic is a-okay. Something about a two year old has to be low maintenance, right? In the picture you get a glimpse of the layered jell-o treats. It's not too hard to believe the adults had a love affair with the sweets at this party! More posts to come, just as delicious as this one was!